Designing a Local Area Network or LAN, is a large project, even if you are designing it for a smaller company. The main point of network design is to ensure that everyone in your business is connected, while still being protected from things like viruses and malware. Network design. Do these words sound complicated? The reality of business network design is not difficult to understand, but it can take some getting used to. The main point of network design is to ensure that everyone in your business is connected, while still being protected from things like viruses and malware. However, every business is different. The size of your business, its location(s), the way it functions, and its overall purpose can affect how your network is designed. Read on to learn more about the importance of a great network design. Here are some ways you can improve your streaming speed so your favorite movie never buffers the fun suspense of your favorite thriller into an interminable wait. While the internet puts a veritably endless selection of movies from every genre and time period at your fingertips, you will not reap all of the benefits of this if your streaming speed is not up to snuff. Nothing is worse than getting excited to watch a movie only for it to freeze and buffer so badly you can’t even enjoy it. Here are some ways you can improve your streaming speed so your favorite movie never buffers the fun suspense of your favorite thriller into an interminable wait. One of the best resolutions that you can make this year is to boost your network security for the new year! The new year means a lot of things to everyone, whether it’s the chance to finally get in shape and use that gym membership, finally get to the bottom of your Netflix queue, or finally start flossing twice a day. The new year also means a lot of things for your network security! One of the best resolutions that you can make this year is to boost your network security for the new year! When you are mapping out the network for your business, it can be tempting to take shortcuts or skip the planning phase in favor of getting it online as quickly as possible. When you are mapping out the network for your business, it can be tempting to take shortcuts or skip the planning phase in favor of getting it online as quickly as possible. However, you should keep in mind that all good networks with a decent level of security come from good network design plans, not the top of your head. Here is some information about the value of a network design plan when it comes to building IP-based networks! IT Disaster Recovery. Is your information technology system prepared to handle large and small IT security disasters? In business we use information technology to improve the information process of business operations. This improvement of the information process can speed up electronic mail and make business telecommunication more reliable and accurate. This is possible when your company’s IT security system has a disaster preparedness strategy for your servers to process information and store large data even in a situation where office computers, laptops and wireless devices IT systems stop properly operating. With an effective IT security and disaster recovery plan, your employees will have the opportunity to create data, process it, fully manage your IT system and successfully communicate business information even during circumstance of system down time. By having an IT security and disaster recovery plan, you will meet business needs and recovery no matter what has impacted your data. It is important to have an IT security and disaster recovery plan because some business data security cannot be left to chance. For vital data, your business relies on quality information technology to maintain a steady business. When you do not prepare for IT disasters, you will leave your business vulnerable to major data loss, hardware failure, malware problems and hackers. IT disaster preparedness will make sure your IT systems have excellent connectivity and very consistent with your business objectives, functions and processes. You can only access these thing with the analysis of your business IT needs and the impact IT systems have on your business. Having a disaster preparedness plan for your IT security systems, you can secure your technology with a back up power supply, external data storage, secure software applications or cloud data and restoration applications. This is especially a great option for companies where downtime toleration is not feasible. Under intolerable downtime situations, it is best to have critical data stored or backed up off-site. Or you can you utilize hot sites to store your hardware and software data. You can do this with Working Nets, enhance your IT security. As a good business leader, it is your job to prepare your company for IT disaster but also know how to positively respond to unpredictable IT issues, such as loss of access , data or applications. From retail stores to hotel chains, a business needs a good IT security and disaster preparedness plan. Don’t let bad IT events be the reason your business shuts down. Working Nets can provide you regular backup and the appropriate remote access for your IT security solutions. We are here to help your business become more productive and meet individual job requirements with risk and threat analysis, training your staff on the most effective IT disaster solutions. Do you need help with improving your computer security or IT issues? We can help you out. When you’ve got an issue, or you’re ready to update your software, give us a call! We can help you get your computers and networks up to speed with the latest and greatest software. There’s no need to struggle in silence. Call one of the leading IT management businesses in your area and get the answers you need. Outsourcing your IT can give you peace of mind and allow you to take care of the things that are important for your company. To talk to someone about managed IT for your business, give us a call at (443) 992-7394. We’d be happy to assist you with your professional business networking needs. Working Nets is a Maryland based IT Service and Security company that services small businesses nationwide. Contact us to find out how we can be of cyber-service to you! You can also visit WorkingNets.com and follow us on Facebook, Twitter, LinkedIn and Google+. If you’re a medical professional or hospital administrator, you know the rigorous technological demands that are put upon any medical institution on a daily basis. Whether it’s insurance management or patient record keeping, you rely on your medical computer systems to keep things running smoothly and ensuring your patients get the best care possible. That’s why Working Nets is here to talk about the benefits of outsourced IT services for Baltimore healthcare providers. With the increasing complexity of technology available to the average consumer, the complexity of queries to help desks increases too. In a fast-paced world where callers have high expectations, it’s vital to have a tech support team that can handle problems quickly. Working Nets service desk provides accurate and fast IT service that’s ready to handle anything from password resetting to system configuration at a moment’s notice. Make sure your users have a reliable and smooth experience each and every day they access your system with network monitoring from Baltimore’s best IT services provider, Working Nets. We’ll keep you up to date on your network’s functionality, and address potential issues before they become major problems. Do you need someone with a high degree of specific technical knowledge fast? Working nets can provide the best available IT consulting, advising you on anything from system design to product purchasing, ensuring that your healthcare systems are completely cost-effective. We’re ready with the IT services and knowledge you need to keep your Baltimore healthcare office running at maximum efficiency. If you’re working on a potentially unsecured healthcare management system, disaster could strike at any time. Whether it’s through user error or a malicious hacking attempt, the consequences could be dire. Lost or stolen data presents a significant danger to your healthcare business and your Baltimore clients. 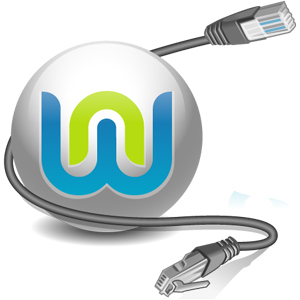 Fortunately, Working Nets has ample network security options to keep your information safe and secure. We also boast a suite of data recovery options, ensuring that your information is protected against system errors and crashes. At Working Nets, we know that handling the massive task of managing IT services for a healthcare, while actually keeping everything running can seem impossible. Outsourcing your IT can give you peace of mind and allow you to take care of the things that are important for your company. Working Nets is a Baltimore based IT Service and Security company that services small businesses nationwide. We’re always on top of emerging cybersecurity trends and threats so you don’t have to be. To talk to someone about managed IT for your business, give us a call at (443) 992-7394. We’d be happy to assist you with your professional business networking needs.